A friend of mine believes that it is important in one’s professional life to have a quick, intriguing “elevator pitch” to define yourself. He likes mine: “I’m a storyteller…” Gets people intrigued, wanting to know more, etc. You get the picture. Lookit that Mannlicher with the butterknife bolt handle! James Stejskal is a military historian and conflict archaeologist who specializes in the research and investigation of irregular warfare. He is author of numerous articles and two books, including the highly praised ‘Special Forces Berlin: Clandestine Cold War Operations of the US Army’s Elite, 1956-1990’ (Casemate 2016). His 35 years of special forces, special operations, and intelligence experience with the US Army and the CIA around the world, give him unparalleled insight into unconventional warfare. Most recently, he was a member of the Great Arab Revolt Project, an archaeological expedition that tracked and validated the experiences of T. E. Lawrence in the Hejaz. I heard Stejskal interviewed on the Spy Museum’s delightful SpyCast podcast, which has become a go-to listen for my Tuesday-night paper-chuckin’ expeditions. 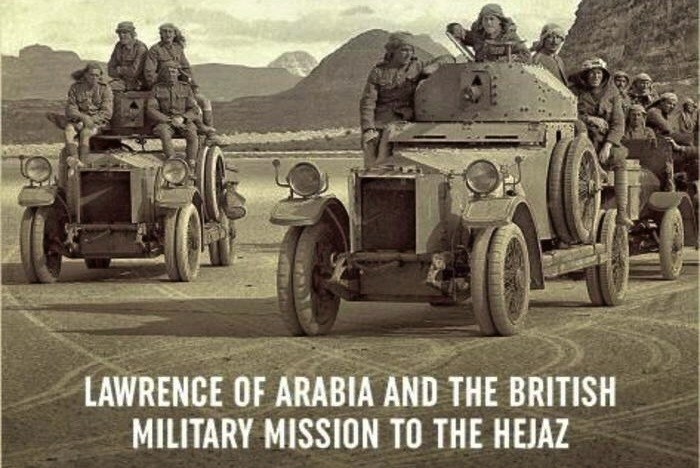 In his latest book, Masters of Mayhem: Lawrence of Arabia and the British Military Mission to the Hejaz, Stejskal examines the often-told “Lawrence of Arabia” tale through the lens of his expertise in unconventional warfare. Striking where the enemy is weakest and melting away into the darkness before he can react. Never confronting a stronger force directly, but willing to use audacity and surprise to confound and demoralize an opponent. Operations driven by good intelligence, area knowledge, mobility, speed, firepower, and detailed planning executed by a few specialists with indigenous warriors — this is unconventional warfare. 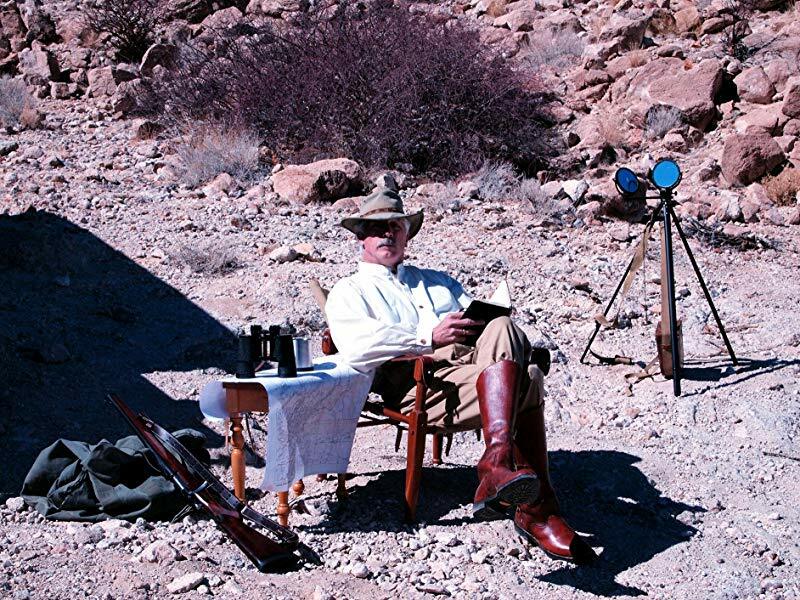 Stejskal also wrote a highly-regarded volume — The Horns of the Beast: The Swakop River Campaign and World War I in South-West Africa 1914-15 on the obscure episode that unfolded when Boer General Louis Botha, fresh off of suppressing a rebellion in South Africa, led an army into German territory in a bid to extend a British-South African imperium. I’ve read a lot about Lawrence and the Arab Revolt, but the podcast hooked me hard enough to get me to put Masters of Mayhem on the TBR pile. Can’t get enough Lawrence, but he wasn’t doing anything the Apaches hadn’t already done. I just read “Setting the Desert on Fire” which is also military history based examination of Lawrence’s campaign. This one looks better, though. I have started to go down a rabbit hole of which I know very. The Crusades have been calling my name and I read a little on Lawrence’s pre-war archaeology research. I am just starting some old books on the Crusades. I want to read early pre-PC stuff to start with. I promise I won’t draw your attention to everything I write on “Thousand Campfires” but as the father of a daughter-I had you in mind, also, when I wrote this post. It is an ugly post, but it is maybe the reason I started “Thousand”-And you won’t be surprised that the book I referenced is a rich vein of material. Unbelievable. That is so grotesque I can’t find the words to engage it. Yeah, Breaker, unfortunately women like Ms. Fellman are the types most likely to get into politics with an agenda aimed at neutering masculinity and redefining human sexuality as witnessed by the group of women recently voted into the U.S. Congress. Why are all these people so angry? I too have a daughter for whom I have the utmost respect and undying love. It seems that almost every facet of normal family life is subject to the witch hunt mentality while the most bizarre and perverse of behaviors are encouraged and enacted into law! Wait, enough of this. before I get sucked into a bad mood, I’m going out to the garage, put some Emmy Lou Harris in the CD player and finish a neglected project. Peter Hopkirk’s “Like Hidden Fire: The Plot To Bring Down The British Empire” is a good read on the subject. Is it just me, or is that guy in the first photo on this post trying to imitate Selous in yer Blog Heading photo? A case of Coincidence or Like Minds? Pretty sure it’s self-consciously imitating Selous. Which I find endearing, of course. I’ve actually just recently snagged a few books by Mister Lawrence. Blazing powder, who knew there were so many amazing adventurers who wrote books? The pile keeps stacking up! And the wallet gets thinner! Well you’ve got me there! Check mate pard hahaha.